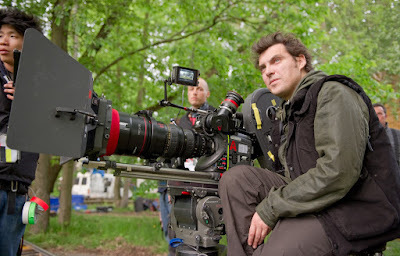 Movie News: Joe Wright in talks to direct Working Title's Winston Churchill WWII Drama 'Darkest Hour'! This is interesting. Matthew Macfadyen just co-starred (in a small part) in ITV's Churchill's Secret, which recently aired in UK's ITV channel last February 28th (and will air sometime this year on PBS Masterpiece in the US). Now, Matthew's Pride & Prejudice director Joe Wrightis in talks to direct another Churchill related movie. 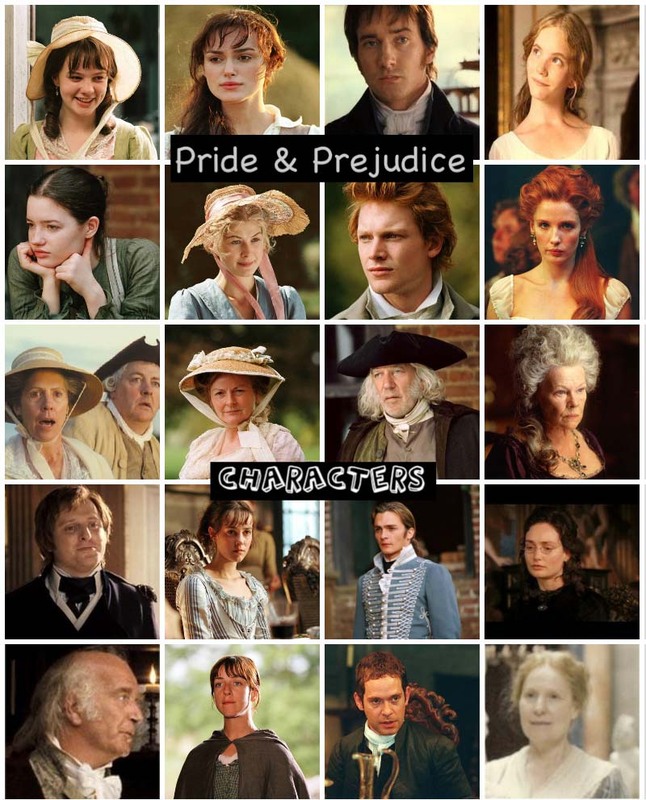 This one is a different take though for the big screen from Working Title Films (who produced JW's Pride & Prejudice, Atonement, and Anna Karenina films). According to Deadline, the writer of Working Title's award-winning film The Theory of Everything penned the story and co-produces the film along with P&P producers Tim Bevan and Eric Fellner. Production is set to start in July with casting underway. If JW (officially) signed on to do this film, it'll be interesting to see who will get cast as Churchill and the supporting cast. The first trailer has just been released for the upcoming movie Love & Friendship (aka Jane Austen's Lady Susan) starring the lovely Kate Beckinsale(best known to Austen fans as Emma Woodhouse in the 1996 TV movie Emma) as Lady Susan Vernon Martin, Chloë Sevignyas Alicia Johnson, Morfydd Clark(Georgiana Darcy in the recently released Pride and Prejudice and Zombies movie) as Lady Susan's daughter Frederica, Emma Greenwell (Caroline Bingley in also recently released Pride and Prejudice and Zombiesmovie) as Catherine Vernon, and Stephen Fry as Mr. Johnson. 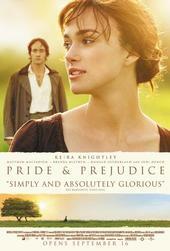 Whit Stillman wrote (the screenplay), produced, and directed this movie. The film opens in US Theaters May 13th and UK Cinemas May 27th. The first trailer has been released for Bridget Jones's Baby (the third movie from the Bridget Jones trilogy) starring Renée Zellweger, Colin Firth, and Patrick Dempsey. The film opens in US Theaters and UK Cinemas on September 16, 2016. 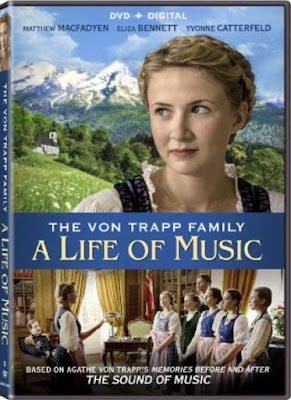 The Von Trapp Family: A Life of Music coming to US DVD and Digital April 5th! A DVD and Digital release date for April 5th has been listed on Amazon for Matthew Macfadyen's The Trapp Family: A Life of Music film starring Eliza Bennnet, Matthew Macfadyen, and Yvonne Catterfeld, which was released in Cinemas in Germany late last year, November 12th, 2015. So, looks like the plan to release it in US Theaters didn't work out and now it's going straight to DVD (and digital), which I don't mind really as I will most definitely get my DVD copy of this movie (and finally see it) sooner than later. Besides, had it been released in theaters, it's usually in limited screens (and I don't often get to see the movies I want to see because of it) especially with independent films like this one. So, looking forward to the DVD release and seeing this movie very soon! You can pre-order your copy of the DVDhere. 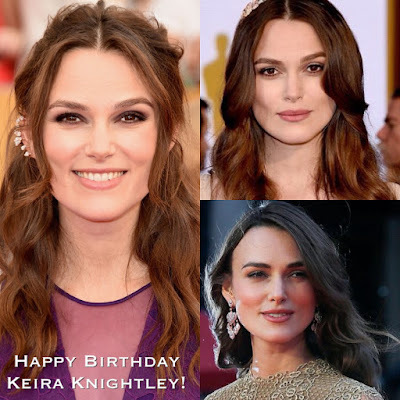 Today (March 26th) is the two-timeAcademy Award® Nominee (for Best Actress performance of hericonic role, Elizabeth Bennet in the 2005's Pride & Prejudicefilm and Best Supporting Actress as Joan Clarke for 2014's The Imitation Gameand new Mom Keira Knightley's 31st Birthday! 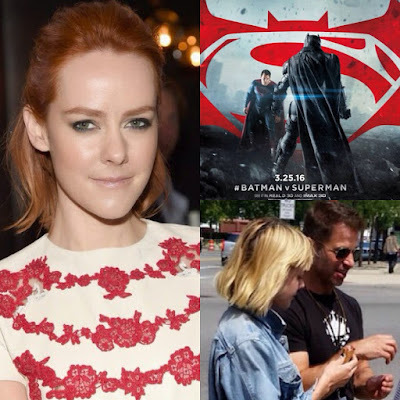 Jena Malone's mystery character will not appear in upcoming Batman v Superman film's theatrical release! I previously posted here 2 years ago (October 2014) that Jena Malonewas rumored to be appearing, possibly in a cameo, for a mystery role inZack Snyder's (director of her Sucker Punch film) Batman v Superman: Dawn of Justice (starring Henry Cavill, Amy Adams, and Ben Affleck) film, which will be opening in US Theaters nationwide later this month, March 25th, 2016. 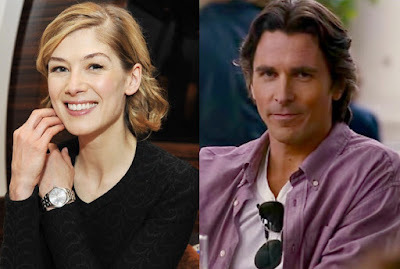 Looks like Rosamund Pikeand Christian Bale are going to be co-starring together in another movie, Hostiles (according to Deadline), after all. They were previously supposed to co-star in another movie, The Deep Blue Good-by, which is no longer happening. This movie at least is happening as production begins in July. On TV Tonight: Watch Penelope Wilton in the final Episode of Season 6 and series finale of Downton Abbey! 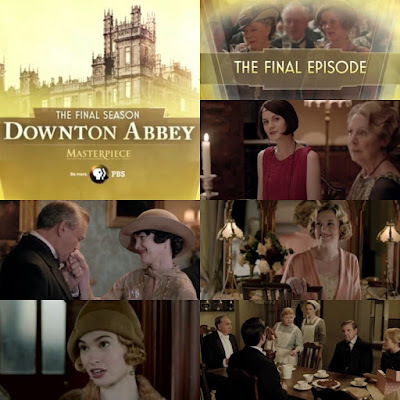 Tonight Downton Abbey(Penelope Wiltonco-star asIsobel Crawley) concludes itssixth and final season on PBS Masterpiece with the very last Episode 9 of Season 6 and the seriesat 9/8c. 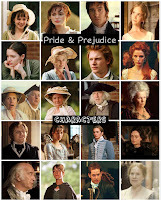 Today (March 4th) is the 29th birthday of Tamzin Merchant(aka Georgiana Darcy in the2005 Pride & Prejudice film). 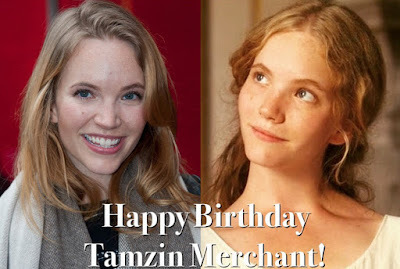 Tweet Miss Merchant your birthday wishes today on her twitter account here: tamzin merchant or send her a message via her Instagram account. 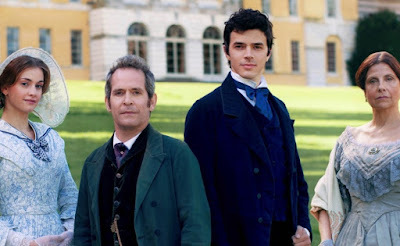 Tom Hollander stars as Doctor Thorne in new ITV's three-part drama premiering March 6th! ITV has just released the official press pack (including a press release, Episode synopsis, and new Tom Hollander interview, which you can read below) for its upcoming three-part drama, Doctor Thorne starring Tom Hollanderin the title role. 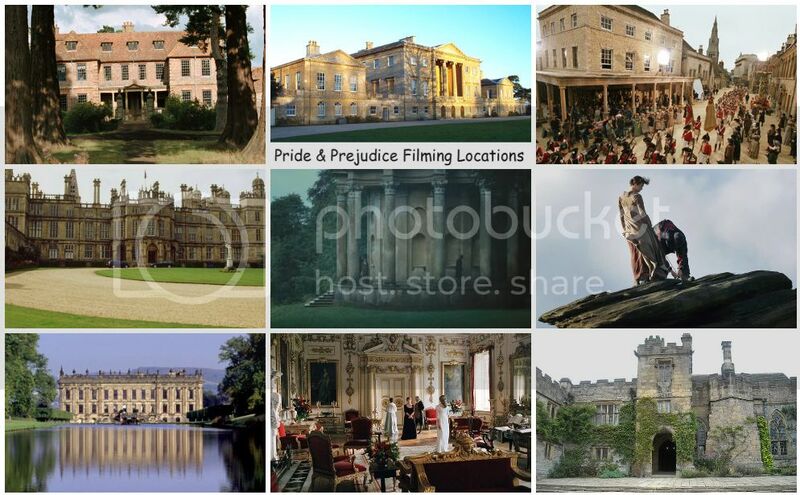 It was adapted for ITV by Academy and Emmy Award-­winning Gosford Park and Downton Abbey creator Julian Fellowes, from one of his favourite novels by Anthony Trollope. According to an ITV Press Centre tweet, it is confirmed to premiere this Sunday, March 6th, on ITV channel in the UK at 9 pm. 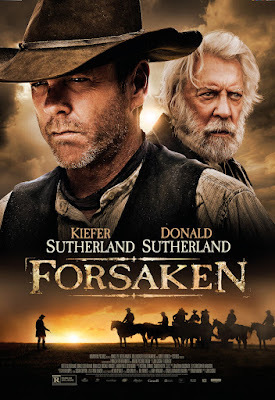 Watch: trailer for western film 'Forsaken' starring Donald Sutherland and son Kiefer Sutherland! Real-life father and son Canadian actors Donald Sutherlandand Kiefer Sutherland are starring in a new western movie titled Forsaken. 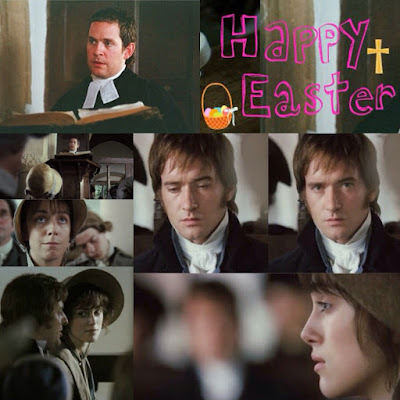 They are playing as father (Reverend William Clayton) and son (John Henry Clayton) in this movie for the second time. Both Sutherlands shared brief screen time together in the 1983 film Max Dugan Returns (which was said to be Kiefer Sutherland's film debut). They also both starred in A Time to Kill (1996), though they did not act together in that film. Demi Moore, Brian Cox, andSiobhan Williams (who co-starred previously with Kelly Reilly in ABC's Black Boxseries) also star.